Hair products is the only answer. When it comes to hair products, there are so many options to choose from, which must be a difficult task for you to do.Thus, we are making it easier for you. Following are the top five products available in India for hair care. These hair growth products might help you get that beautiful lustrous hair that is desired by every single woman. Most of us pick a salon visit right before an important event because at times, the stylist can do things that we can’t always do. If you are wondering what am I talking about, well the products that the stylists use are different and it isn’t practical to own them due to its less than usual usage. Thus, professional salons use high-end sprays that help the hairdo last all throughout the evening. 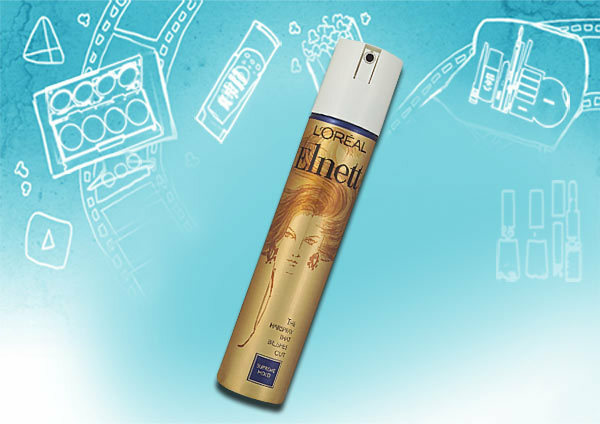 One such outstanding expert recommended product for buyers is L’oreal Paris Elnett Satin Hairspray. The best part about this hair growth product is that you can afford it and be certain that it does the job in a manner similar to the salons. * Gives superior hold for a long time. * Does not frizz hair. * It will not leave a white cast on hair. * Its inexpensive (costs as much as one visit to the salon). * You have to apply it just about the same minute you spray it out and ensure it spreads evenly; otherwise, it may make hair hard. * It has a very strong smell that may be hard for some people to bear. 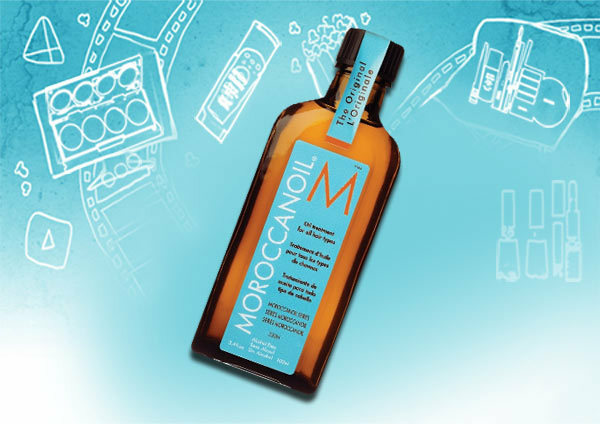 Moroccan oil is famous all over the world for its amazing properties that do wonders to promote healthy hair. Ladies in every corner of the world swear by this product and internationally is it said to be one of the best hair growth products. What is so different about this “oil” you ask? Well for starters, it has the goodness of natural oils and the effect of a serum. Moroccan Oil absorbs quickly by the hair and it eventually leaves a shiny and silky finish. * Contains unique and rare antioxidant argan oil. * Does not make hair greasy. * Never makes hair limp. * Can even work like a mild heat protector. * Also available in a “light” version for people with an oily scalp. * Although small quantity is required, it may come across as a bit expensive to some people. 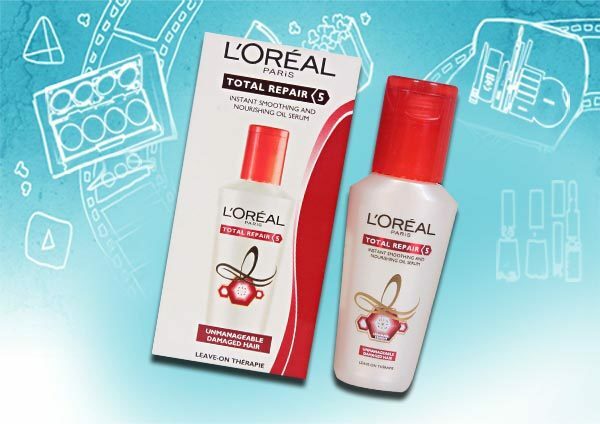 * Its available only at selected salons and online stores. Read more about this product in review of Moroccanoil Treatment original. If you have grey hair, then the best solution is Henna. It is widely recommended because of its no-side effects advantage. You will find this product completely natural, and unlike any hair colours, it contains no ammonia or other harmful chemicals. 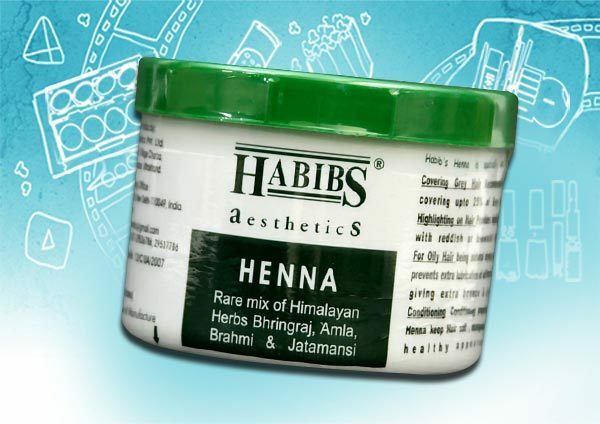 Habib’s Henna is indeed one of the best options on the market. * It serves two purposes; covers grey hair and also highlights them. * Immensely helps in conditioning hair. *Contains Bhringraj, Brahmi and Amla, which are very good for hair health. *You need to soak this henna for just 30 minutes and it is good to use. *Makes your hair shiny and gives it life. * Absorbs extra oil from scalp. *After soaking, the quantity increases, thus be careful with how much you need for your hair. *Slightly expensive than other henna available on the market. *Availability may be an issue in small cities. 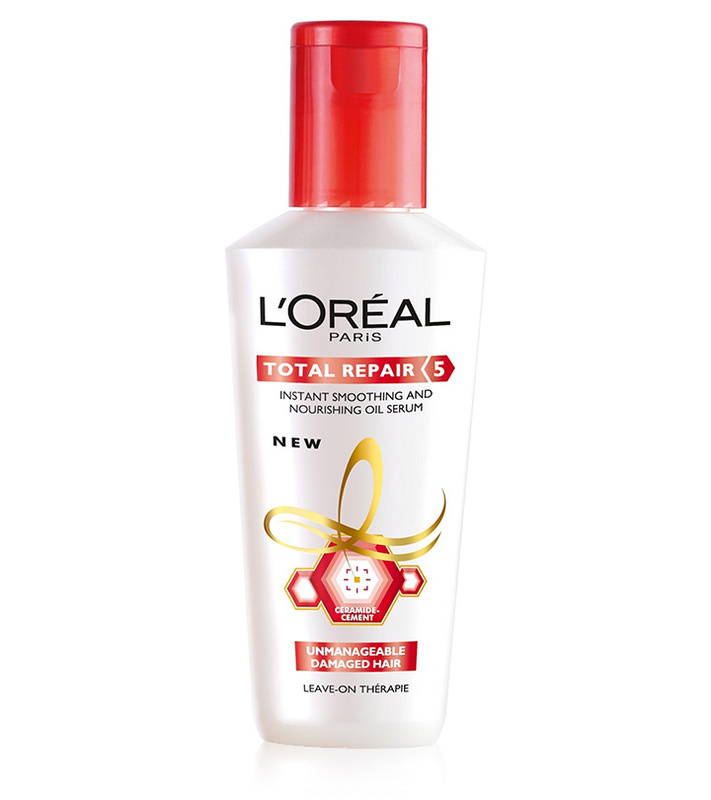 Before styling your hair, it is recommended you use this heat spray to prevent any damage to your hair due to heat. You can use this before ironing, curling or even blow-drying. * Effectively prevents hair from damage. * Available easily in most supermarkets as well as online stores. * Affordable as compared to other heat protector sprays on the market. * Contains Keratins and UV filters. * Over spraying of this product might lead to the formation of an artificial layer on hair. * Will not work as expected on very frizzy hair as compared to non-frizzy hair. * Ladies living in humid areas like Mumbai should give it a miss due to their weather conditions. 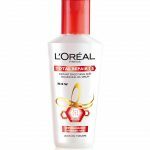 Considered to be one of the best hair care products, L’Oreals Total Repair 5 Serum repairs the hair surface while saving/protecting them from any further damage and split ends. Also, it nourishes hair completely, from root to tip. * Detangles hair with ease. * Hair becomes softer and shinier after applying this serum (even after one time use). * If you wash you hairs after every 3 days, this is the best serum currently on the market. * Good news is that it is very inexpensive. * A common outcome of most products like these is that it makes hair very limp, but with this product in particular, no such complaints have been registered yet. * Might give a sticky feeling on certain hair textures. I hope you benefit from these best hair products that boost growth. As the month progresses, your calendar gets filled with social events. And you sure need to sport trendy hairstyles at each to look your best. During these frenzied moments, achieving the perfect hairstyles can be tough – which is why you need one tool that can help you get your desired hairstyle.